Samuel de Champlain – ‘founder and leader of the first permanent French settlements in North America’ – arrived at Kebec on 3 July 1608. 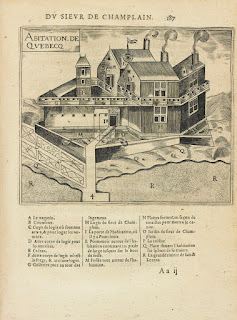 He had visited this place five years earlier, but after a fresh exploration of the area overlooking the St. Lawrence River, he decided it would be an ideal location for a permanent settlement. Today, this site is Quebec City. It celebrated its 400th anniversary in 2008. 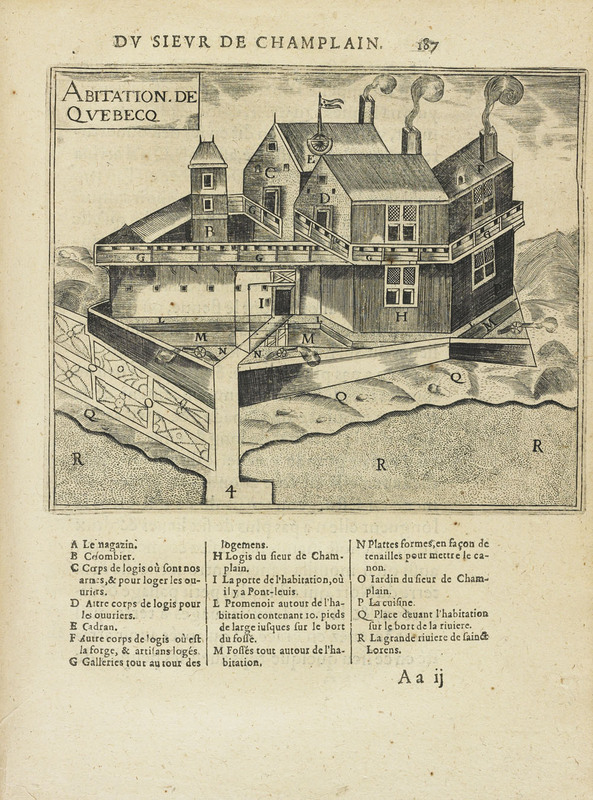 Image credit: “Abitation de Quebecq [document cartographique]”, Library and Archives Canada. 1. David Hackett Fischer, Champlain’s Dream (Alfred A. Knopf Canada, 2008), 6. 2. Fischer, Champlain’s Dream, 244.